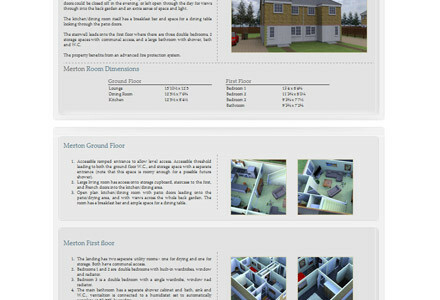 The idea behind the site is to sell a housing development off-plan by enabling potential buyers to easily visualise the different styles of house. This has been achieved by building 3D models of the houses in Sketchup and rendering them using iRender NXT. Video tours are much easier, and therefore much cheaper to produce, but the downside is that you have to wait until the property has been built and fully furnished before you can produce them. CGI is a useful option, but probably only a realistic one if it’s likely to be a particularly large development, or if the value of the homes being modelled is very high (or if they really need sold off-plan! ).